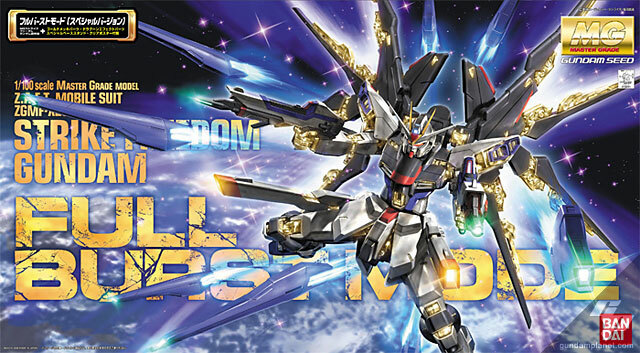 This full burst mode special version box comes packed with the same MG kit as the normal version of MG Strike Freedom Gundam. 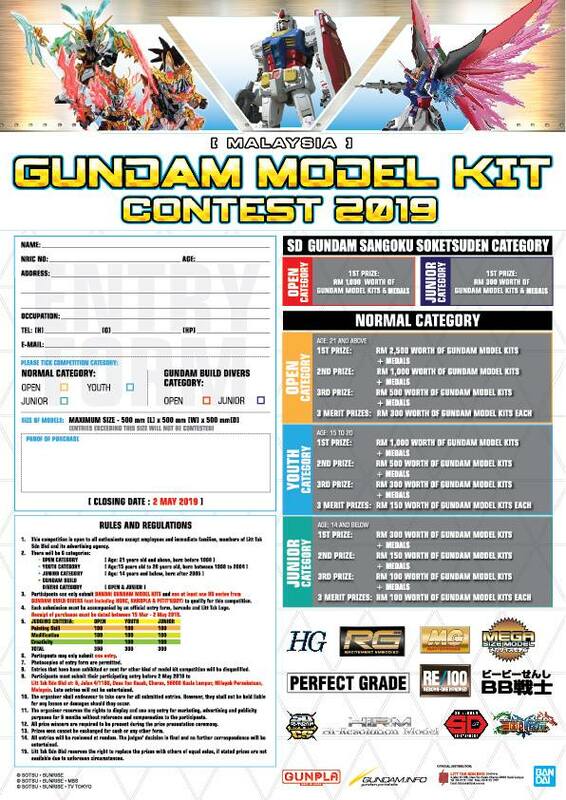 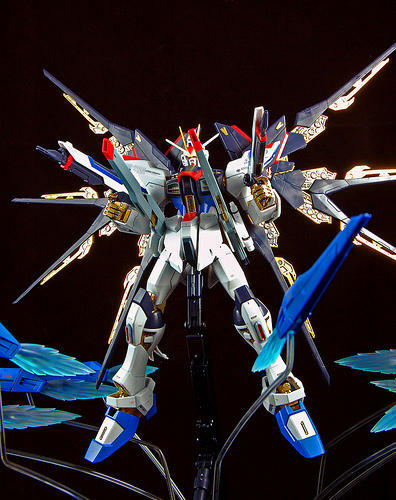 And this special box include gold coating parts, Dragoon effect parts, a special clear blue base stand, and a clear illustration poster of Strike Freedom vs Destiny. 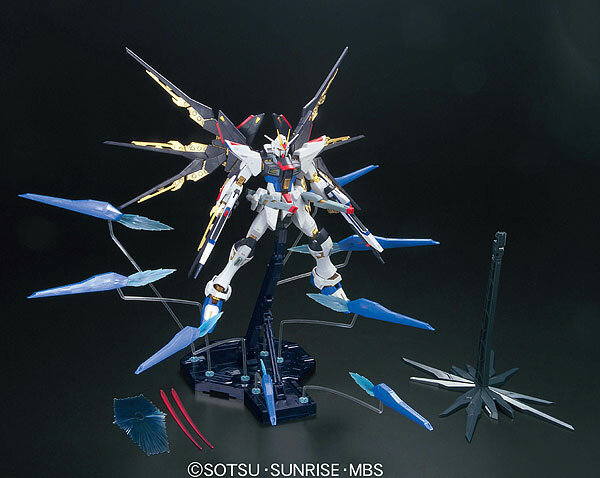 Clear stands for each Dragoon are included, which can be attached to the special base stand and display them being sent flying out to its target(s). 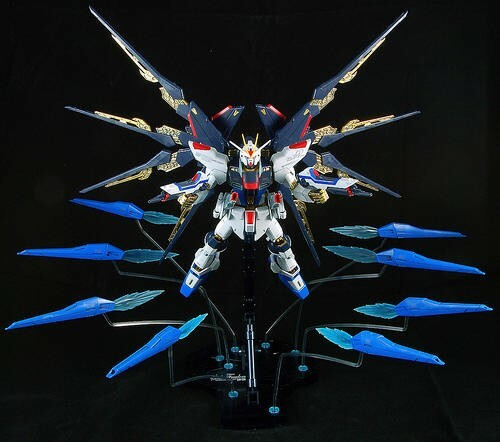 Stickers and custom decal markings are included to detail-up the completed Strike Freedom Gundam kit.Comes with the gold inner frame, unique stand base that able to shoot the beam canon of dragoon system, some hate the stand base, some love it, and notice the 'wing' inner also in gold color, which is pretty cool too. 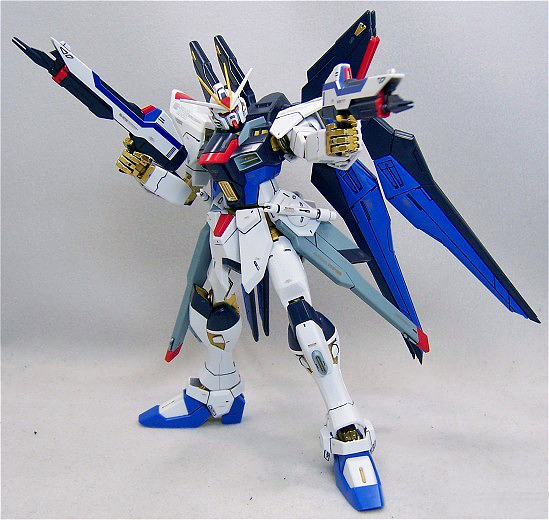 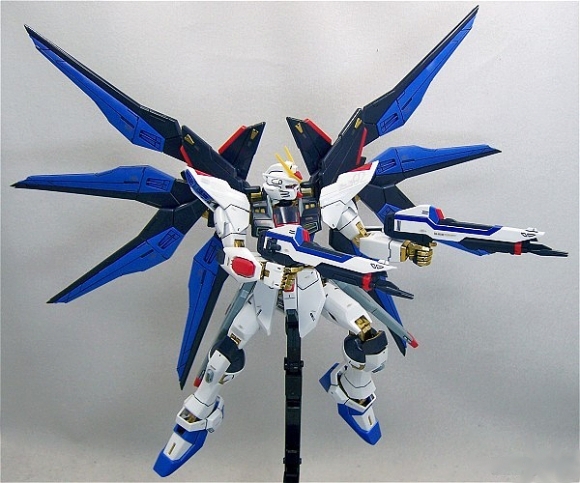 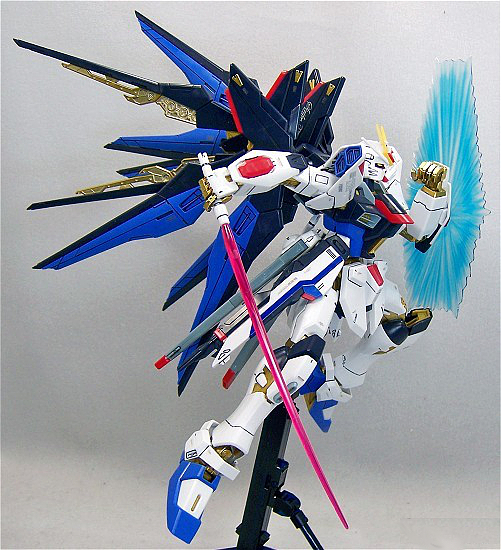 One of the similarity feature of strike freedom gundam full burst mode is the combineable rifle on the waist with unique fingers to posture for gun carrying look, this mecha really stand tall and cool among the scale and worth to collect.